Cavendish is a bustling summer destination, boasting the largest population on the Island during July and August. 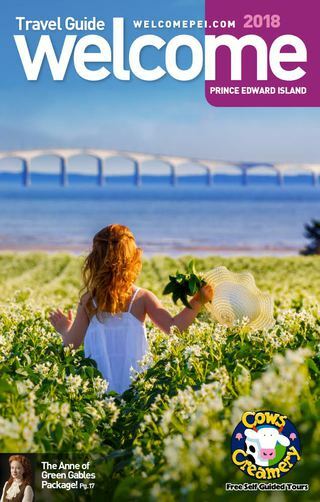 It was made famous by Lucy Maud Montgomery’s Anne of Green Gables stories and with many activities, scenic views and beautiful beaches, it’s PEI’s hotspot. Cavendish is centrally located on the North Shore of the Island, nestled between North Rustico and Stanley Bridge. Pristine Cavendish beach is at the gateway into the Prince Edward Island National Park which itself boasts panoramic views of the shoreline looking out into the Gulf of Saint Lawrence. Cavendish was founded in 1790 by Scottish immigrants and became a small farming community. Author Lucy Maud Montgomery was born nearby in New London and later moved to Cavendish to be raised by her Grandparents after her Mother died. She frequently visited her cousins at Green Gables farm and life in Cavendish created such an impression on her that it was the basis for her fictional blockbuster ‘Anne of Green Gables’ and other stories in the series. In the first half of the 20th century Cavendish flourished as a tourism spot, mainly due to L.M. Montgomery’s books and increases in vehicle travel. In 1937 the Prince Edward Island National Park was opened and Cavendish Beach became one of its most popular beaches. Green Gables farm is also within the park perimeter. As tourism increased the National Park created an 18-hole golf course ‘Green Gables Golf Course’ and opened the Green Gables farm for tours. The second half of the 20th century saw motels, campgrounds, amusement parks, shops, restaurants, bars and other facilities established. Cavendish Country Inn & Cottages: Situated in quiet country setting in Cavendish, with heated outdoor pools, hot tubs, perfect for all the family and is pet friendly. Marco Polo Land: A world-class campground and trailer resort facility with great family activities, heated pools, playgrounds, jumping pillow and petting farm. Sundance Cottages: Your home away from home. Pick fresh vegetables from the garden while taking in magnificent ocean views. Anne’s Windy Poplars: Luxury cottages in the heart of Cavendish that allow you to stay right in the middle of all the action while enjoying privacy thanks to the mature trees and well-manicured grounds. Resort at Cavendish Corner: closest resort to Cavendish Beach offering full service accommodations, featuring an inn, motel and cottages. Fairways Cottages: A 4-star winning Cottage Resort property located in the heart of Cavendish Beach resort destination, across the road from Anne of Green Gables House. Green Gables Golf Course: Along with exceptional golf course conditions, this seaside course has stunning views of the famous sand dunes, the ocean and Green Gables farm house. Shining Waters Family Fun Park: PEI’s largest theme park is a fun day for all the family. Cavendish Boardwalk: Known as the place to shop in Cavendish! An eclectic mix of summer fashions, accessories, unique gifts, souvenirs and restaurants. COWs Ice Cream: Get your COWs ice cream fix as you stroll along the Cavendish Boardwalk. Anne of Green Gables Museum: Enjoy touring Green Gables farm house and beautiful grounds. Even the biggest fans will learn something new. Avonlea Village: Experience Island hospitality with delicious food, traditional Island music and quaint shopping. Avonlea Village consists of purpose-built structures combined with heritage ones – to re-create the fictional 19th century hometown of the loveable heroine, Anne Shirley. Joey’s Deep Sea Fishing: A few minutes’ drive away in Rusticoville is the opportunity to experience an authentic lobster fishing trip complete with on-board dining. Or participate in a tuna charter with the chance to catch and release a giant Bluefin tuna. New Glasgow Lobster Suppers: Take a short drive on Route 13 to New Glasgow and experience what generations of Islanders call one of their favourite PEI lobster suppers. The Pier Water Sports: Get out on the water! Water sport enthusiasts will enjoy what The Pier has to offer. Just minutes away in Stanley Bridge rent kayaks, stand-up paddle boards, sea-doos and or experience para-sailing. Fisherman’s Wharf Lobster Suppers: Enjoy a delicious lobster supper along with the Island’s only 60 foot salad bar when you take drive to beautiful North Rustico. Cavendish Beach: Finally, a visit to Cavendish wouldn’t be complete without hitting the beach!